Our client needed a company with technical expertise to design and build a database-driven webpage that integrated into their existing website, including interactive data visualization of the collected information. For the past seven years, our client had been collecting data on the state of a particular business sector in Alberta. They had been presenting this data in a static report, and were looking to move to an online portal that presents viewers with new and historical data in a more interactive way. We were ideally suited to complete the job because of our experience with extensive data sets, as seen in Spartan One software. Node.js® is a platform built on Chrome's Java Script runtime for easily building fast, scalable network applications. Node.js uses an event-driven, non-blocking I/O model that makes it lightweight and efficient, perfect for data-intensive real-time applications that run across distributed devices. Angular JSis a client-side Java Script framework that allows the extension of HTML vocabulary for applications. The resulting environment is extraordinarily expressive, readable, and quick to develop. Bootstrap is compatible with the latest versions of all major browsers. It gracefully degrades when used on older browsers such as Internet Explorer 8. It also supports responsive web design, meaning that the layout of web pages adjusts dynamically, taking into account the characteristics of the device used (desktop, tablet, mobile phone). Our client was looking to create a flexible reporting engine for a series of annual datasets. This required the creation of a standard database to draw information from, as well as a finished web page to display the data, enabling users to quickly and easily filter data by size, sub-sector, and region to isolate and compare the information that matters the most to them. The information was presented to users as online interactive infographics, and developed according to modern web standards, with accompanying support technical documentation. Leveraging Spartan Spark’s technical experience, we were able to create a quality software application that was able to scale as their dataset grew, and customize as their uses for the data grew. 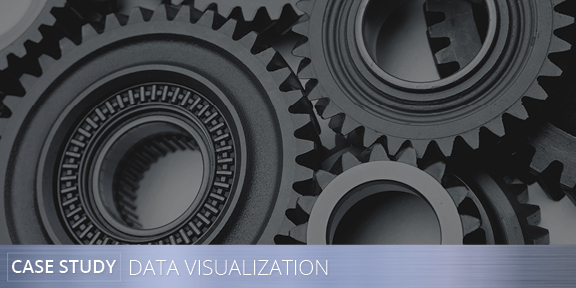 The online interactive data visualization webpage, as developed by Spartan Spark, provided an optimum user experience because of its loading speed and ease of use on a variety of devices (desktops, tablets, mobile).